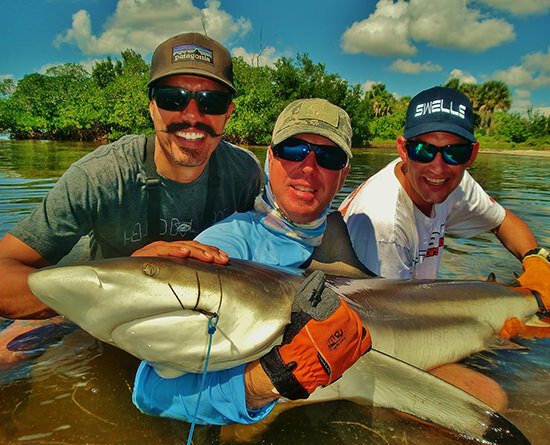 Enjoy a day on the water with Captains Jesse McDowall and Kelly Eberly of Florida Inshore Xtream charters fishing the renowned waters of Charlotte Harbor and nearby areas of Boca Grande, Lemon Bay, Pine Island Sound, and the Gulf of Mexico. Jesse has been fishing the Florida waters for over 20 years and loves targeting all species of fish. 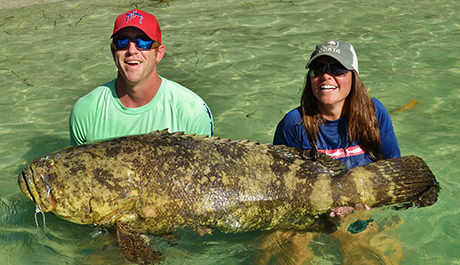 Whether targeting Boca Grande tarpon, fishing the flats for snook and redfish, or miles offshore digging for grouper, snapper and cobia, Jesse and Kelly are sure to give you a fishing charter FIX to write home about. For those new to fishing, Jesse and Kelly are more than happy to help coach you along and teach you skills that will help your future angling endeavors. 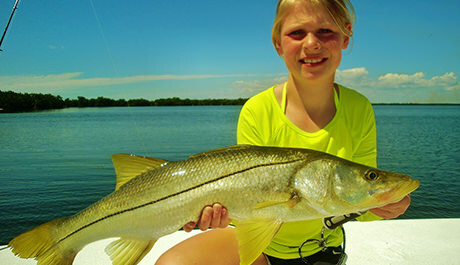 Kid friendly fishing charters! Seeing the look on a kid’s face after catching their first or biggest fish is absolutely priceless. Jesse and Kelly pride themselves in making sure the kids have a great day on the water. 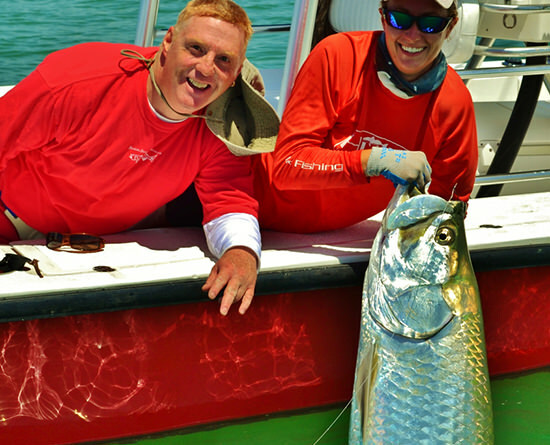 Call or click today to book your exciting, reel screaming Boca Grande and Englewood fishing adventure! Boca Grande is the #1 location in the United States to visit if you want to enjoy one of the most exhilarating fights you may ever have. Tarpon are one of the most acrobatic fish we encounter. Within minutes of being hooked, tarpon are usually seen flying through the air, doing flips, tail walking, etc! Their strength, endurance, ability to gulp air for additional oxygen, and bouts of blistering runs taking in excess of a hundred yards will have you tired out before you even get close to wearing the fish down. 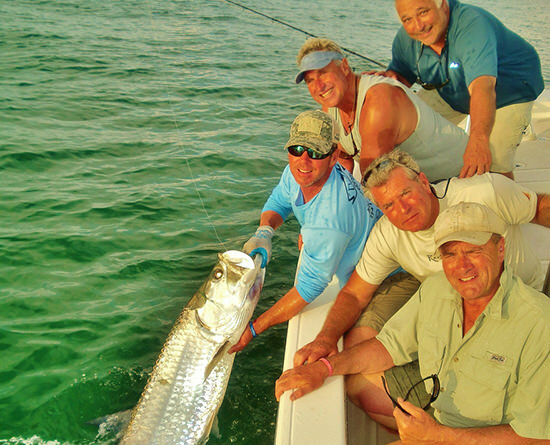 We target tarpon primarily around the beaches of Boca Grande using live bait. 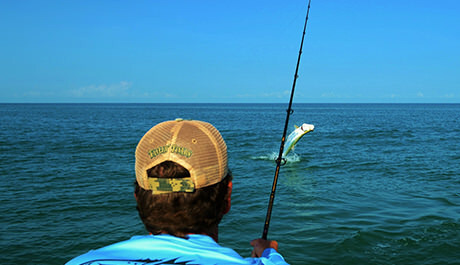 However, our range for tarpon fishing covers the area between Englewood and Captiva. If you have not experienced beach fishing for tarpon, you are missing out! Charter dates are filling up so book now to reserve your tarpon fishing charter. Have you ever felt the feeling of helplessness while fighting a fish? … Like there is absolutely nothing you can do to win the battle … As if you are going to be pulled out of the boat and into the water? 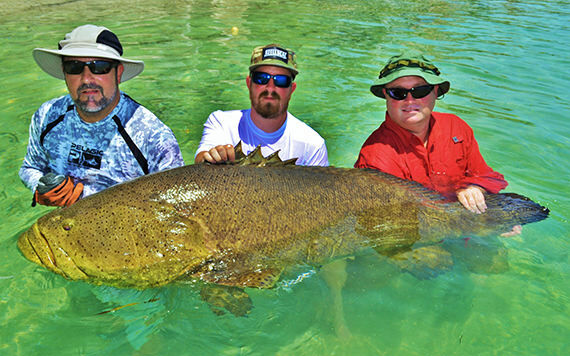 If not, that is the exact feeling you will have when you hook into a 500lb goliath grouper. 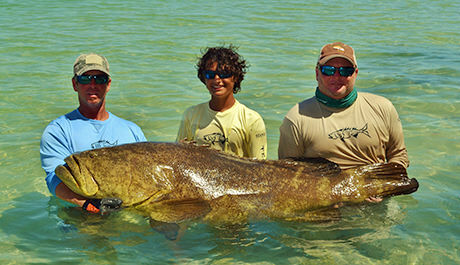 Goliath grouper, pound for pound, are probably one of the most powerful fish around our Boca Grande area. After getting your fish boat side, it will feel as if you just sprinted a 100 yard dash. Sounding enticing yet? If so, give us a call to book your Boca Grande goliath grouper fishing charter while we still have this beautiful weather. Calm seas allow us to fish for the even bigger dogs offshore. Captains Jesse and Kelly will ensure a fun filled day of fishing on the waters in and around Englewood, Boca Grande, Placida, and Pine Island. 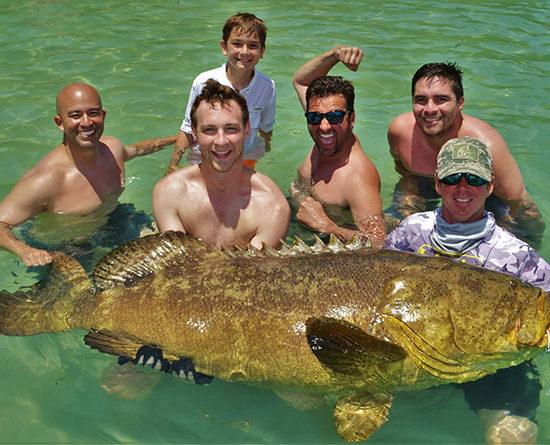 We have a variety of fishing charters to choose from … one of which is sure to meet your needs. We have an all around good bite right now. We’ve been catching large trout, along with redfish and snook. Our nearshore bite of snapper and grouper is also very good. Trout and other “fun fish” (jacks, ladyfish, etc) are nearly everywhere right now. This is a great trip to bring young kids on. 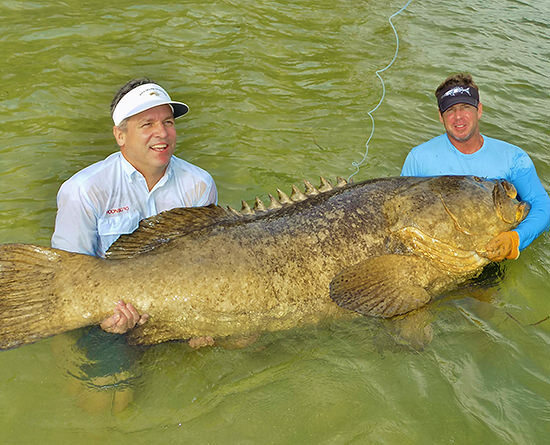 Boca Grande, FL is well known for big fish. 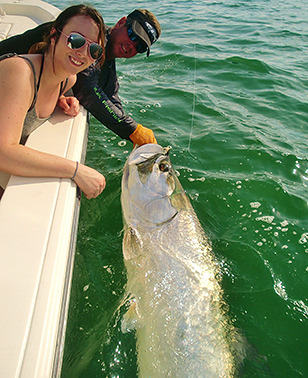 It isn’t called “tarpon capital of the world” for nothing! 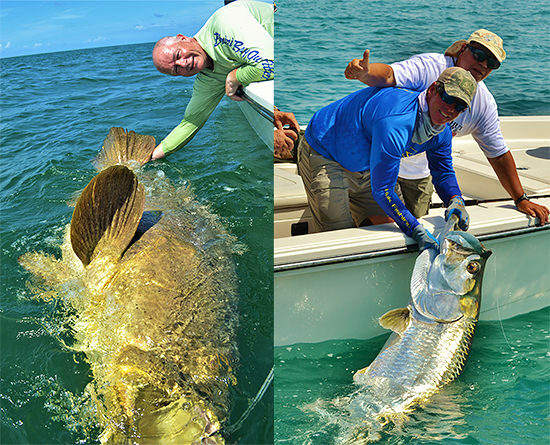 Tarpon and goliath grouper are two of the Boca Grande beasts we target quite frequently. We dock our boats at Gasparilla Marina, located in Placida, FL, just minutes from the world famous Boca Grande. This is the prime location for any fishing enthusiast. In just a few short minutes, you can be skimming over the flats of Charlotte Harbor or entering in to the Gulf of Mexico. 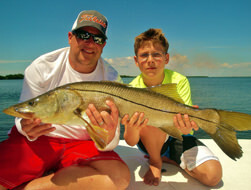 It is these places you will find some of the finest fishing that southwest Florida has to offer. 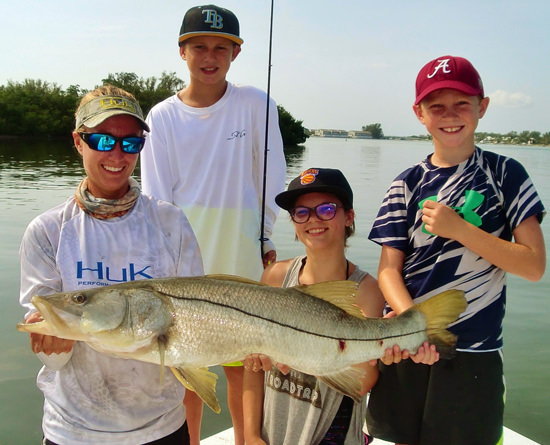 The shallow bays and miles of mangrove shorelines that comprise the back country of Charlotte Harbor and Boca Grande provide pristine fishing enjoyable to the whole family. 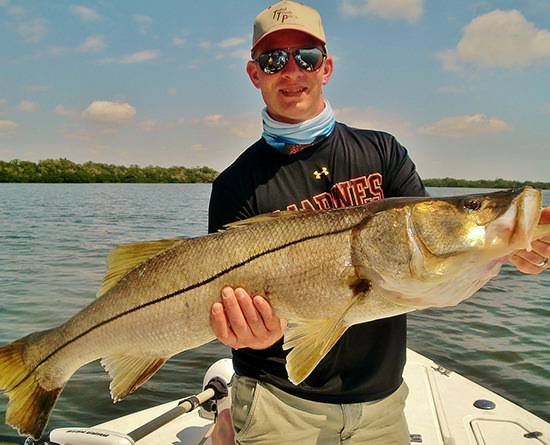 Inshore gamefish such as redfish, snook, and trout are a few of the targeted species year round. Aside from inshore fishing charters, we also offer Boca Grande goliath grouper fishing charters, nearshore fishing charters, Boca Grande tarpon fishing charters, and much more! I was amazed at how talented Jesse was at getting us “on” all sorts of fish. He really knows this area and definitely knows where the fish are — and that is all types of fish. He also was extremely helpful at coaching my son and I on the exact techniques to catch the fish we were after. He is the best guide we have ever had.